The Secrets Behind Paper Weight Revealed! Have you ever wondered what weight of paper would be most suitable for a forthcoming project? Well, look no further as here are 6 categories to help you decide. 80gsm tends to be the weight of standard copier paper and 100gsm is the preferred choice for the more important print-outs! Paper in this category is commonly used for leaflets, flyers, booklets and posters. This weight range feels like thick up to thin board! Ideal for premium leaflets, report covers, brochures and catalogue covers. We are now getting into the paper ‘heavy weights’ with this category being used to produce premium flyers, brochures, postcards, wedding invitations and business cards. This is self carbon paper usually used for invoices, delivery notes and forms. 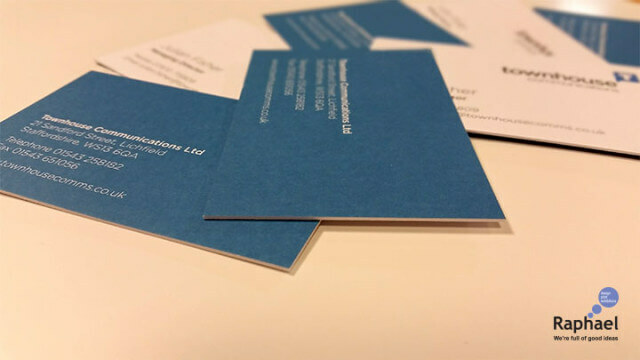 Here at Raphael Design we love paper and we have lots of samples we can share with you. If you need any advice on what weight of paper would work best for your project or you would like a paper sample pack then just give us a call on 01543 261220 or drop into the office. And finally have you ever wondered what GSM stands for? Well, GSM is an acronym for ‘Grams per Square Metre’. So when you are at the next pub quiz you will be prepared for that question!